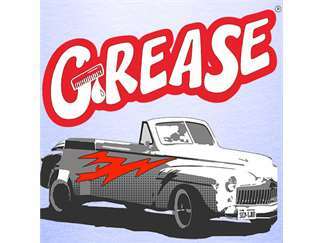 Maine State Music Theatre and the The Public Theatre team up for the first time to present Grease the Musical! Step back to Rydell High’s senior class of 1959: duck-tailed, hot-rodding “Burger Palace Boys” and their gum-snapping, hip-shaking “Pink Ladies” in bobby sox and pedal pushers, evoking the look and sound of the 1950s in this rollicking musical. Head “greaser” Danny Zuko and new (good) girl Sandy Dumbrowski try to relive the high romance of their “Summer Nights” as the rest of the gang sings and dances its way through the songs “Greased Lightnin’,” “We Go Together,” “Alone at the Drive-In Movie,” “Born to Hand Jive,”and many more.